What is adventure to you? To me, it’s getting to explore or experience something new! This can be something simple like trying a new flavor of ice cream, or it can be something that requires a lot more planning, like traveling to a faraway place. Here is what I believe about adventures: when you are doing something new and are being challenged, it makes you think more creatively and you get tons of new ideas. If you share the adventure with another person you have the added benefit of building special memories with just that person. It’s priceless! I’ve been wanting to take Gwinna (who does the voice of Princess Pearl) on a mother-daughter adventure with me every since she was born. 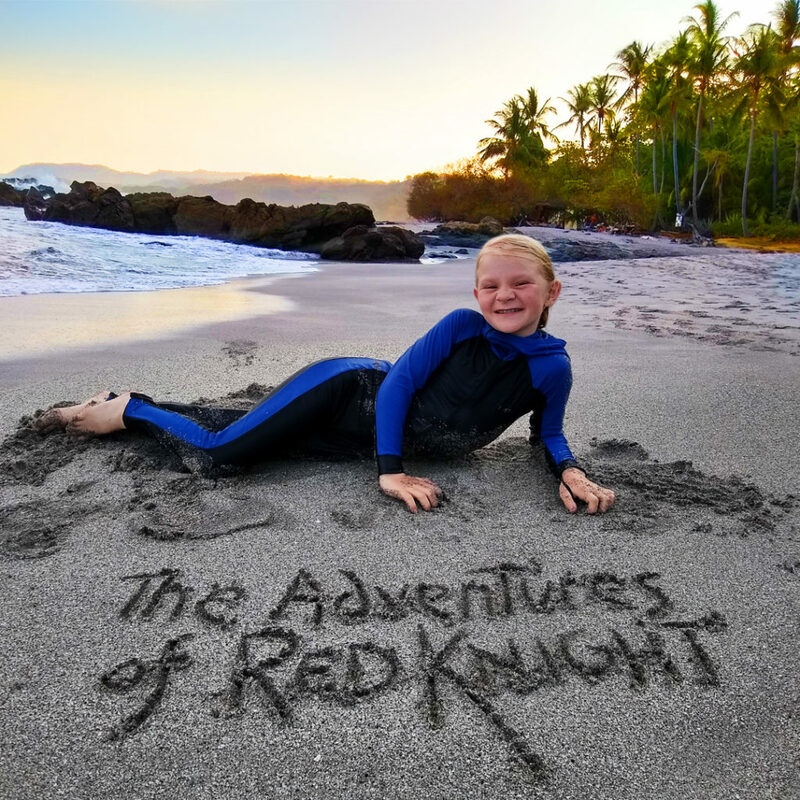 About a year and a half ago we started planning for her first trip outside of the United States – to Costa Rica! 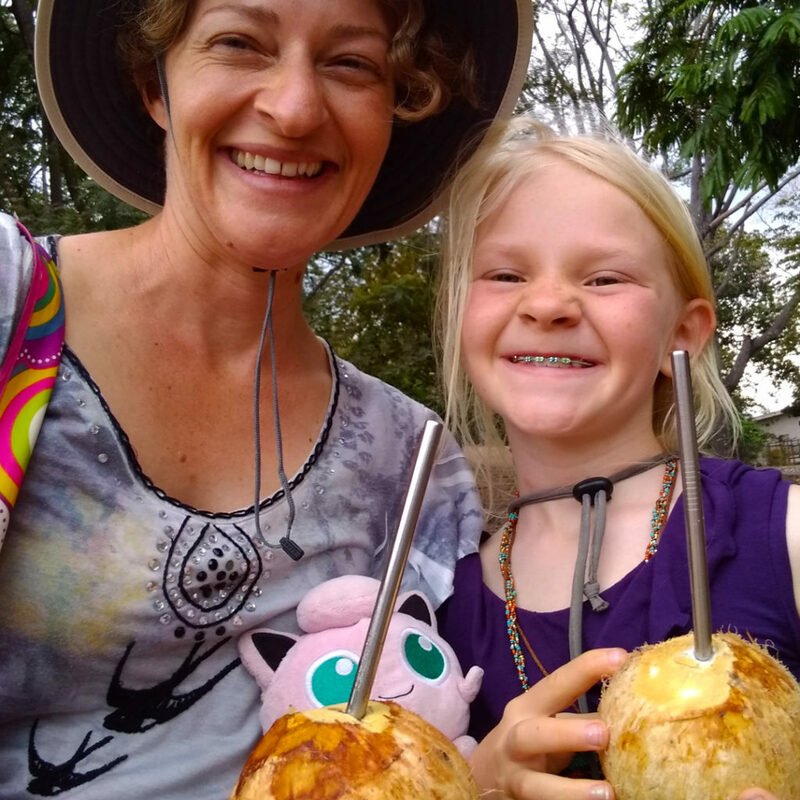 I chose this place because the culture and the tropical climate is very different than our city of San Diego and I knew that Gwinna would love seeing all of the animals. The Central Market in San Jose has an amazing number of interesting things to look at! From piles of beautiful fresh fruits, vegetables, spices, and medicinal herbs, to ice cream using a recipe over 100-years old, we got to see many things and taste a lot of new flavors. 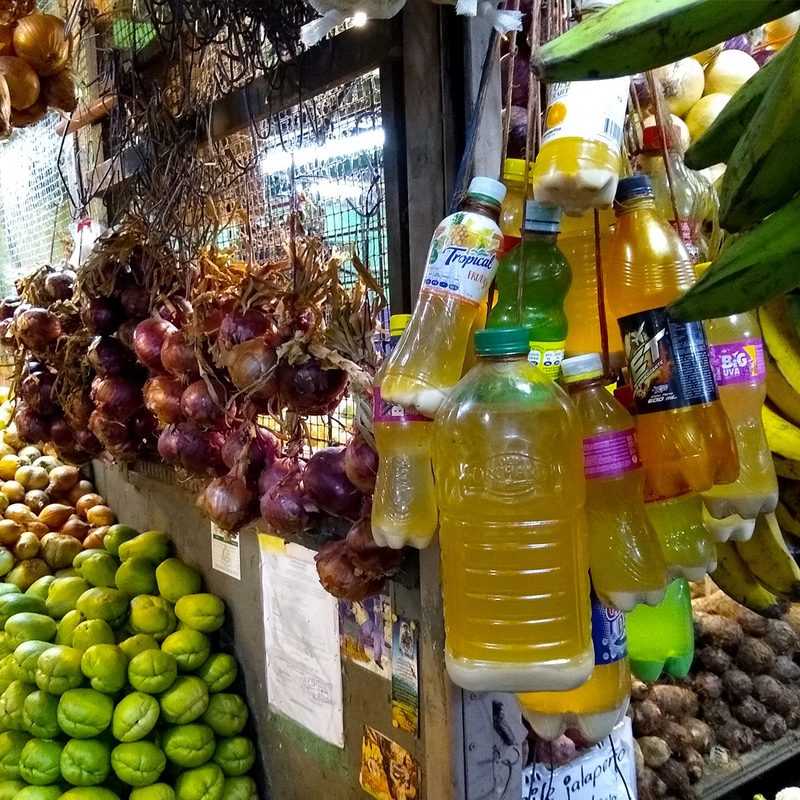 We would highly recommend the tour we took from San Jose Urban Adventures – our guide told us all about the fascinating history of the city and led us through the dizzying maze of the market, where tens of thousands of people visit every day. Montezuma Falls is a fairly short walk from the small beach town of Montezuma. The bottom waterfall is easy for anyone to get to during the dry season, but the top two falls can only be accessed through a private trail or a hidden “adventure” path. Count us in! 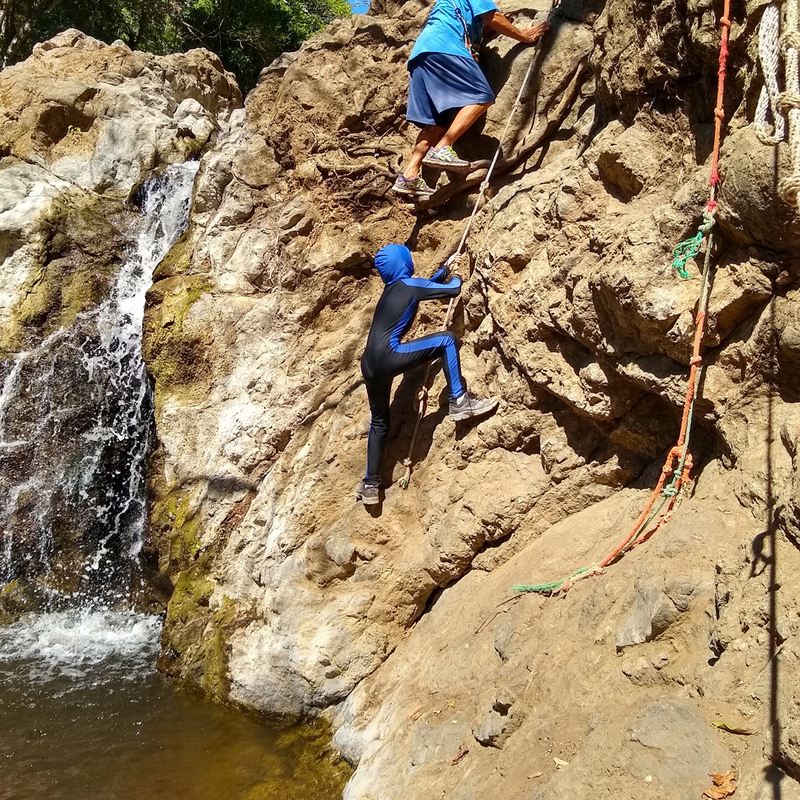 Our expert guide led us up root-covered cliffs and rock walls in the jungle until we reached the top two waterfalls of Montezuma Falls. 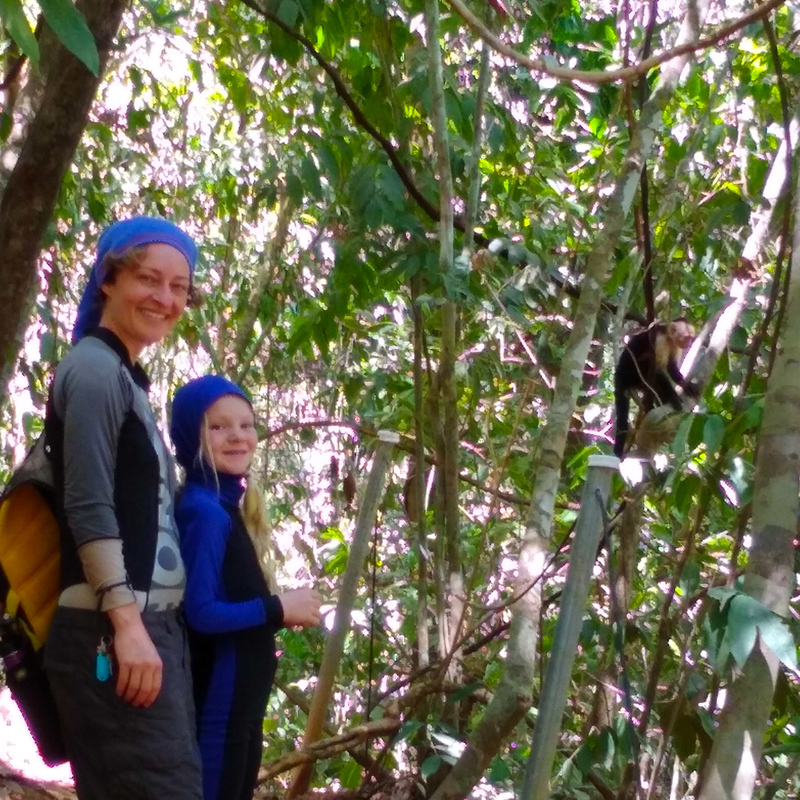 There were fish in the pools and exciting jungle plants and animals to see along the way! Between San Jose and the Montezuma jungle, we got to see many wild insects and animals that we’d previously only seen in the zoo. Giant spiders, leafcutter ants, bats, monkeys, snakes, butterflies, iguanas and Coati just to name a few. I am obsessed with permaculture and planned a visit to a special permaculture farm called Rancho Delicioso during our stay in Montezuma. The tour taught about how the farm used advanced ecological techniques to grow its organic fruit trees and vegetables. 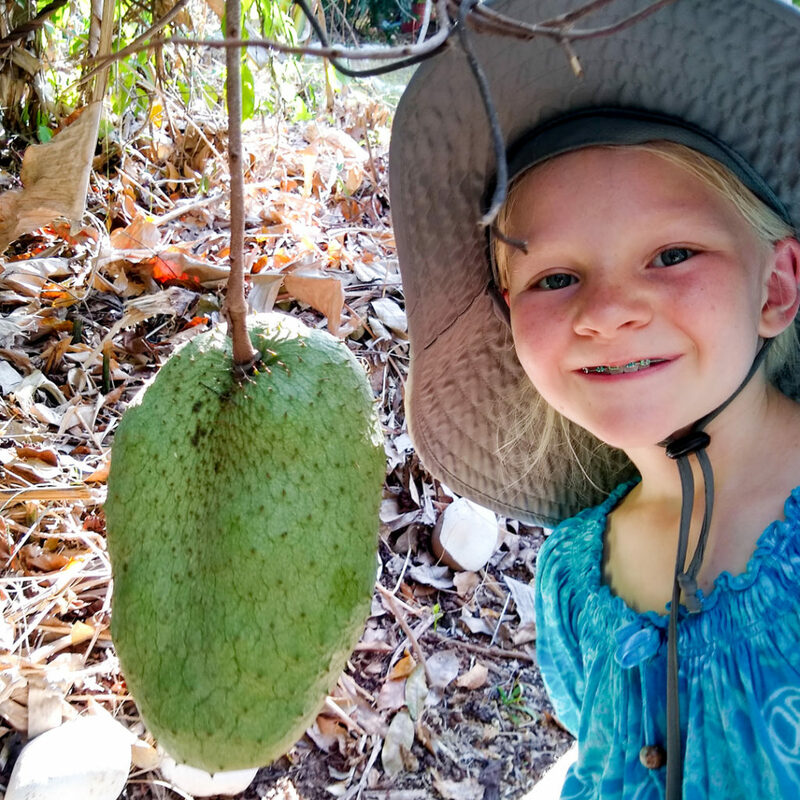 Gwinna was overjoyed to hold a one-day-old baby chicken and pet their young horse, as well as seeing unusual fruit like the Soursop! We hiked down the Montezuma coast for an hour in one direction and discovered that each beach was completely different from the last. Some were covered with sand, some with rocks, some with seashells. Coconut trees lined the edge of the jungle near the water and hermit crabs scuttled across fallen fruits on the ground. 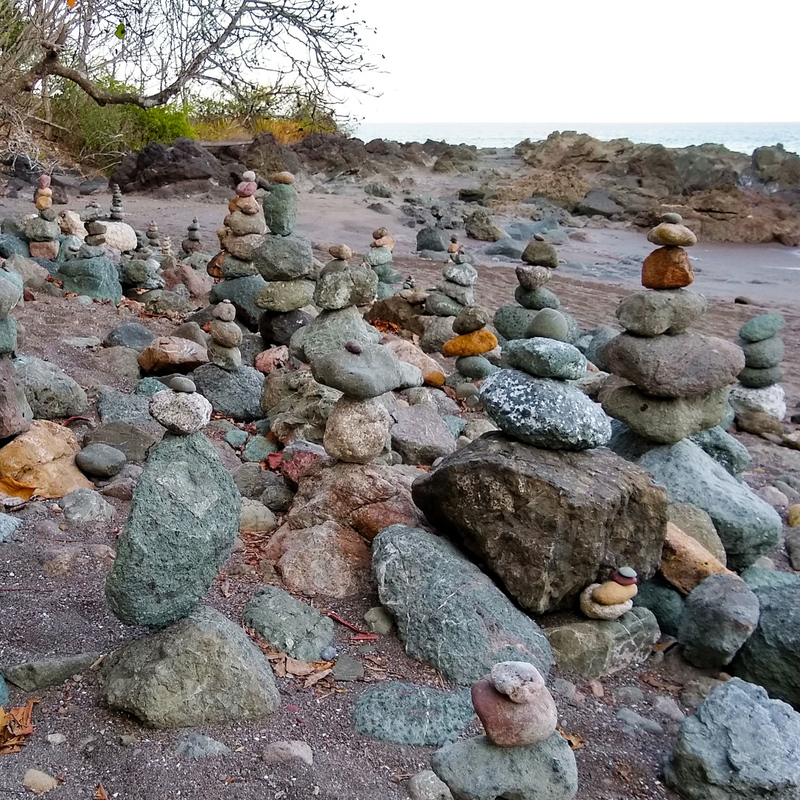 There was even a special pebble-covered beach called Piedra Colorada where hundreds of visitors have created a collection of standing stones. We had a great time and will start planning our next adventure soon, be it near or far. For the near future, I’m guessing it will be a new flavor of ice cream, but in the future that is a bit further away…who knows? Do you have an adventure to share? Send us a message and let us know!